We provide electrical and refrigeration engineers throughout Cumbria, the North of England and South West Scotland. From our Carlisle base we specialise in air conditioning systems, refrigeration units, mechanical engineering and testing & inspection. 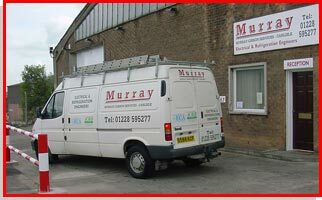 Murray Gibson started with a 6 year electrical apprenticeship with Rickerby Ltd of Carlisle Est 1880, during which time he went on to further education in Electrical, Mechanical, Refrigeration, Welding and Automotive refinishing. After 12 years Mr.Gibson then established his own Company on the 1st November 1993. Our headquarters are at Stephenson Road, Durranhill, Carlisle. 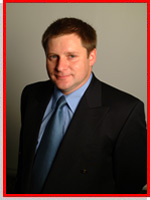 Murray Gibson is the current Chairman of the Carlisle Branch of the Electrical Contractors Association. Member firm No 75123. Our services have expanded from the outset and continue to do so. We currently work all over the United Kingdom, and supply on demand overseas. Call us on 01228 595277 to discuss your requirements and services.